The park is known for Bryce Canyon, which is actually not a canyon but a group of giant natural amphitheaters and geological structures called hoodoos, or pinnacles. The orange, red and white coloring of the rocks provides a spectacular view and interesting study, making the area a geologist’s dream. Visitors come to hike, camp, stargaze, and experience some stunning vistas. Bryce and the surrounding area became a National Monument in 1923 and a National Park in 1928. Compared to the neighboring park, Zion National Park, Bryce Canyon National Park receives relatively few visitors each year, most likely due to its semi-remote location. The remote location does, however, lend to a cooler climate and more precipitation than that of Zion. The park covers nearly 36,000 acres and varies at elevations of 8,000 to 9,000. While not much is known about early human habitation in the Bryce Canyon area, archaeological studies have shown that humans have lived in the area for at least 10,000 years. These peoples include the Basketmaker Anasazi, the Pueblo-period Anasazi, and the Paiute Indians. Bryce Canyon Lodge provides motel-style accommodations inside Bryce Canyon National Park. 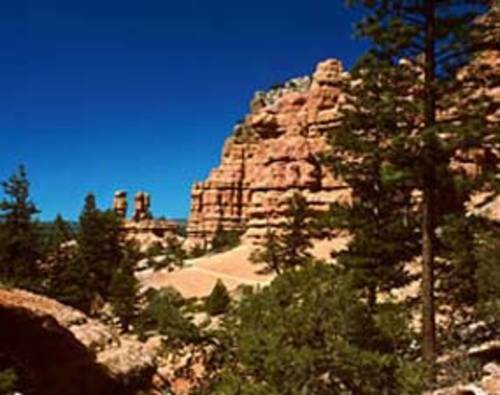 The Bryce Canyon Lodge accommodates guests with comfortable lodge rooms that include private balconies as well as a range of private cabin accommodations. Bryce Canyon Grand Hotel invites you to experience Bryce Canyon City's newest lodging facility while visiting the breathtaking Bryce Canyon National Park. Closest Accommodations to the Entrance of Bryce Canyon National Park! This economical Lodge features a pool and horseback riding trips, making it the best family destination in the Bryce Canyon area. Bryce Pioneer Village is located in the town of Tropic. Pioneer Village offers traditional motel rooms and cabins on 13 acres of beautifully landscaped scenery. 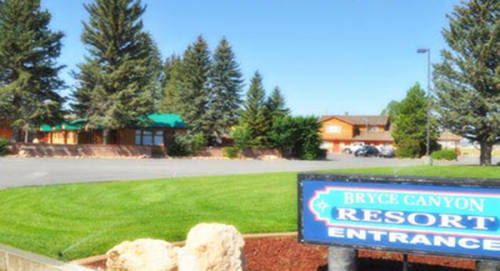 Bryce View Lodge is set in the perfect location for your visit to Bryce Canyon National Park. Nestled in the historic Ruby's Inn compound, the lodge offers a complete checklist of amenities.